ANTM is now casting for cycle 22. 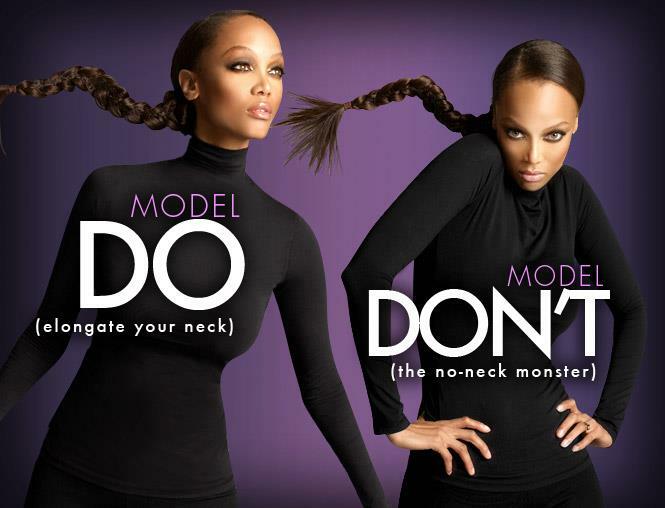 Tyra Banks will be hosting another season of the hit reality modeling competition. Top Model will be returning in 2015 and as always, they will need fresh talent to compete on the show. The wait is over. Aspiring models can now apply to be on America’s Next Top Model. The show just began it’s casting process for cycle 22 and they are accepting submissions from both male and female models for this cycle. The casting calls just went out and the audition process for ANTM just began. At the moment casting directors for the show are accepting email submissions from models who think they have what it takes to be America’s Next Top Model. The ANTM casting directors will then contact the models they would like to know more about and schedule a video or Skype audition. Casting just began and there have been over 20 open casting calls scheduled for America’s Next Top Model . More cities may be added to the current schedule at a later date as well. Every year, for the past many years, the show has done a nationwide casting call tour allowing models to try out in person at locations across the US. Update: See this page for the Top Model open call schedule. As always, there are some restrictions on who can apply. All models must be between the ages of 18 and 27 in order to qualify for the show and at least 5’6″ in height – Update: No height requirements in 2015 cycle! Men need to be at least 5’10” tall in order to qualify for the show. There is also a page you can check to see all the eligibility requirements, in case you are interested. Models that have applied for previous seasons of ANTM can go ahead and apply again for the 2015 season / cycle 22. So ladies and gentlemen…. Are you America’s Next Top Model? If you think you have the goods to compete against the stiff competition on the show… follow the directions below to get your submission into the show. So… If you want to become America’s Next Top Model, check out the following information. The Official ANTM Casting Team has started its search for ANTM Cycle 22! We are casting men and women on Top Model! If you feel you have what it takes to be our next top model, then email the casting team at the address below to be considered for the upcoming cycle! This could be the year you come out on top! To be considered for ANTM cycle 22, please send an email including your name, age, height, weight, email, phone number, alternate phone number, city you live in, and three (3) photos of yourself (close up, full body, and swimsuit photo). I am 16 years old, pro wake border and I love modeling. I really do enjoy being in front of the camera. I believe my eyes tell a story also I watched every episode of ANTM and I’ve always dreamed of modeling ever since I could remember. Please Tyra give me this ONE chance, I won’t let you down. When will America’s next top model start in 2015 and what network? thanks. Is it to late to send an email to be considered for cycle 22? It may have already started since ANTM should begin filming in early spring. is it too late to send in an email? When do we hear if we made it or not ? Thanks Amelia. I believe the show starts filming in March so models that are being considered for Top Model should be hearing from the ANTM casting directors very soon, if they are being considered. Are they having casting calls are or we just suppose to do the e-mail? If they are doing casting calls in states when will they be published? (some people say they do casting calls) What if we can’t do the video to submit, what should we do then? Please reply back it would be a great help. The link to the open casting call schedule for Top Model 2015 is in the middle of this page, however, I do believe the last one was this weekend. When do the callbacks start? When is the deadline for the auditions? Has the deadline for email submissions passed already? no, you can still apply by email to get a Skype auditions. Kim here! Is it true that a video of yourself needs to be submitted via email along with the 3 photos? I am hearing many people say this and it does not state on the email rules that a video needs to be included. Thank you in advance for your time. What do you need to bring to the open cattle call auditions in D.C.? There’s a lot of different information, so I want to make sure I’m properly prepared. Do I need to submit anything beforehand, or do I show up and fill paperwork on site?